We are always available to help you as you consider these funding resources. In addition to the resources listed below, there are a number of private foundations which offer direct assistance to individuals or 501(c)(3) agencies. We have an extensive list to share with you should you like further assistance. Please call Carlisle Academy at 207-985-0374, or email the Head of School at sarmentrout@carlisleacademymaine.com. Carlisle Charitable Foundation (formerly Equest Foundation), the Academy’s philanthropic partner, is an independently governed 501(c)(3) organization. Carlisle Charitable Foundation’s mission is to raise scholarships for students with special needs who participate at Carlisle Academy. Scholarships are gifted based on economic need and/or disability-specific needs and decisions are made by the Scholarship Committee 2 times each year. Scholarship deadlines are posted and precede Carlisle Academy registration deadlines. Families are encouraged to utilize this important resource as needed. Scholarship guidelines and an application can be found on the Foundation’s website, www.carlislecharitablefoundation.org, or you may contact Carlisle Charitable Foundation, PO Box 935, Kennebunk, ME 04043, and phone (207)967-3242 fax (866)201-0656 or email info@carlislecharitablefoundation.org. Private Health Insurance: Carlisle Academy is a Physical and Occupational Therapy provider using hippotherapy as a treatment strategy for full with Maine Health Community Options. The rest of the health insurance reimbursement is handled out-of-network. Carlisle Academy’s Head of School can assist you in determining insurance benefits and other funding resources as needed. Local School Districts: Physical and Occupational Therapy using hippotherapy as a treatment strategy may be funded if your child is receiving services under an IEP (Individualized Education Plan). Treatment goals must be relevant to education and hippotherapy improves functional skills that translate well into the classroom for achieving academic goals. Please contact the Director of Therapy Programs if you would like assistance in including this service as part of your child’s IEP (Individual Education Plan). Community Service Organizations: Local service organizations such as the Lions Club and Knights of Columbus, or disability-related organizations such as the Muscular Dystrophy Association or the Multiple Sclerosis Society may be willing to assist with tuition funding. Flexible Spending Accounts: Hippotherapy may be considered an “out of pocket medical or disability-related expense.” For students/families with Flexible Spending Accounts, tuition payment may be a reimbursable expense when combined with a written prescription from a doctor and documentation from Carlisle Academy that includes the dates of service and tuition payments. 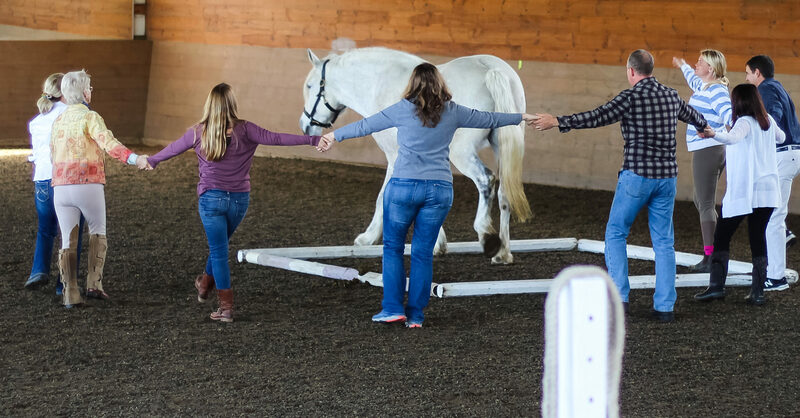 Students must check with a plan administrator to see if Physical or Occupational Therapy, using hippotherapy as a treatment strategy, is a reimbursable service. Post 9/11 Veterans: With support from both national organizations, PATH Intl. and the Wounded Warrior Project, Post 9/11 Veterans are eligible to receive funding for up to ten Carlisle Academy lessons. Veterans must be registered with WWP. Contact Wounded Warrior Project at www.woundedwarriorproject.org or Wounded Warrior Project 4899 Belfort Road, Suite 300Jacksonville, Florida 32256, phone: (904)296-7350, fax: (904)296.7347 or speak to Carlisle’s Director of Therapy Programs for assistance. Annie’s Angels Memorial Fund: Annie’s Angels helps local families struggling financially through a life threatening disease, illness or disability. Carlisle families may apply for funding support for any of our special needs programs by applying directly to Annie’s Angels online at https://anniesangels.org/apply-for-assistance. Robbie Foundation: (Adaptive Equipment/Assistive Technology/Therapy Treatment Program) Robbie Foundation provides grant funding for children with special needs and this can include funds for hippotherapy or adaptive riding. Carlisle Academy has Robbie Foundation program applications on file and specific application deadlines apply. Go to: www.robbiefoundation.com for more details on the program. Lucy’s Love Bus: Carlisle Academy is contracted to provide adaptive riding or hippotherapy for children with cancer through Lucy’s Love Bus, a non-profit organization that will provide funding assistance for these services. To apply go to www.lucyslovebus.org or call 1-978-204-8734. Download a PDF of these resources here.